In Aspects of the Novel, novelist E.M. Forster wrote, “The king died and then the queen died. The king died and then the queen died of grief.” The first sentence describes two events of a story, while the second sentence describes two events of a plot. 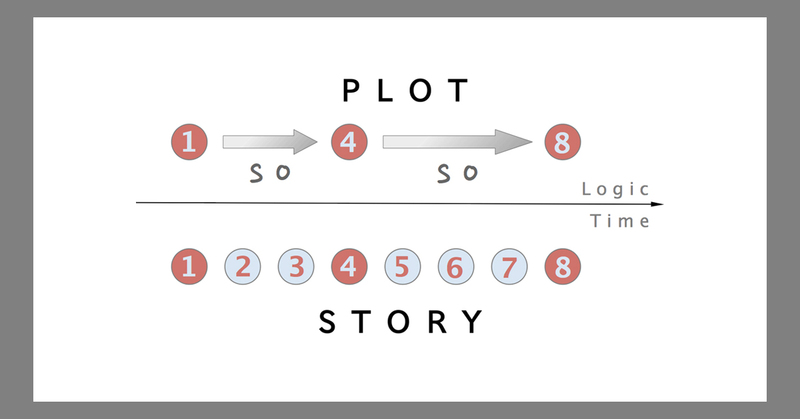 As many writers and critics have noted, the essential difference between a story and a plot is that the first is a series of chronologically ordered events while the second is a series of causally related events. Here is an example of a story, taken from the life of Jesus Christ. Jesus is baptized by John the Baptist. He enters Jerusalem to preach. He is betrayed by Judas. He is crucified. The basic structure of this chronology is: this happened, then this happened, then this happened, and so on, like a news report. However, because of the high stakes, intrigues and brutal tragedy, this story is dramatic. This can lead writers into the confusion that what they have written is a plot, but when in fact what they have written is a story. And without high stakes, many stories fail because they are only a chronicle of events, a series of loosely connected episodes. Chronicle stories can be very dramatic and sometimes they are the only way a specific story, because of its genre and nature, can be told. See for example The Odyssey, High Noon and The Searchers. I believe, however, that plots are generally more dramatic than episodic chronicles. For stories to become plots they require direct and long-term conflict; a continual back-and-forth between the characters. 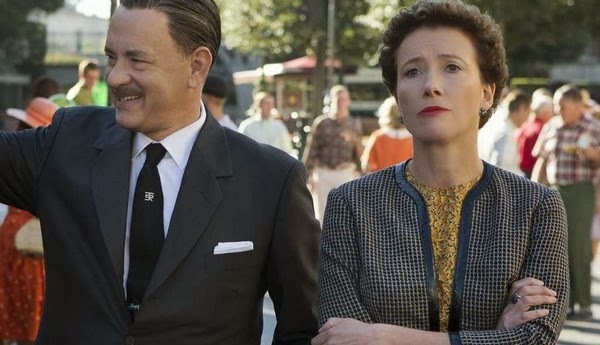 Let’s look briefly at the excellent plotting in the film Saving Mr. Banks. Walt Disney wants to keep his promise to his daughters to produce a film about Mary Poppins, but he needs writer P L Travers to sign over to him the screen rights to her Poppins story. Solely out of a need for money, Travers accepts Disney’s offer to come to Los Angeles to discuss the project, but she is very negative about giving him any rights. Travers’ conflict with Disney and his creative team make things difficult, but they try to charm her and show her their good intentions regarding adapting her story. Travers remains unconvinced and rejecting. To help her understand his vision and to learn more about the deeper meaning of her disagreement, Disney takes Travers to Disneyland. And so, it goes on, the driving back-and-forth between these two forces, these two motivated and toe-to-toe conflicting characters. In the climax, Disney believes he finally understands the motivation behind Travers’ antipathy and goes to London to confront her in one last effort to achieve his goal. When starting to develop your new screenplay, one of the most basic choices you will face is: Will I structure my events as a story or as a plot? If you choose to construct a plot, one key way to guide you in this is to create your central conflict as a clash between character A and character B. You then need to organize these character’s choices and actions as a line of conflict between them. The plotline, on a very simple level, is an escalating, back and forth conflict between a protagonist and an antagonist over a long series of logically related choices and actions. Such a plot-based structure creates drama because two distinct, personal, and motivated forces are actively battling each other. This kind of story construction delivers great suspense, strong character conflict, and forces your characters to make harder and more perilous choices as their conflict progresses. The plot is climaxed in a direct, personal, and final confrontation where one character defeats the other. So, by explicitly deciding if your script is a plot or a story, you can better understand and control the best way to organize your characters’ choices and actions. To read just a few good examples of the Character A vs. Character B nature of a plot, read the scripts of The Fugitive, Indiana Jones, and Toy Story 3 in our FREE to DOWNLOAD Genre Scripts Collection. Keep Writing!